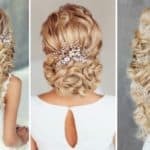 For some women is real enjoyment and dare to experiment with hair styling, trying new haircuts or colors, and always feel comfortable wearing well stylized hairdo. 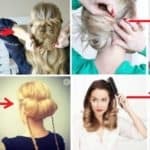 Other could be in more complicated and trouble situation when talking about taming their hair and having perfect hairstyle all the time. 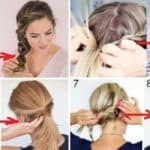 If you don’t want to have difficulty and get stuck into hairstyle monotony and rut, it is time to learn how to style your hair in easy or if more involved and patient, in creative braids that look awesome for this summer time, day and night. There is no need to have special skill in doing braids, there are some easy and simple variations that anyone can master and recreate. When it comes to making new braids, be crafty and versatile, follow the step-by-step tutorials and instructions, and be taken by surprise yourself. You don’t need stylist to make this kind of masterpiece, just patience and training. 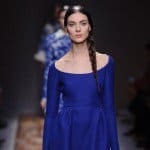 There are pretty much all kind of styles, uncomplicated to make and easier to carry and wearing braids is charming and women look more attractive and very gentle. 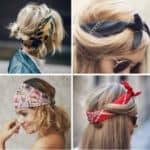 Be unique and try to change your everyday hairstyle. 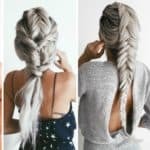 No matter what kind of fashion you prefer, there is a braid that will surely work for you.